Think about this for a minute. 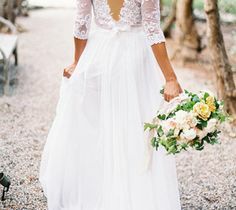 What kind of a view do your guests see at your vintage wedding? 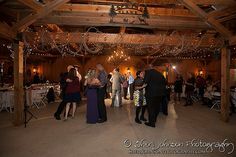 If you’ve got your wedding venue choices narrowed down to your favorite few, you probably have a good idea of what the reception area looks like. You could have eloped, but you chose to have a wedding. Why? Because your closest friends and family are important to you. And since you’re having a wedding to share the day with them, maybe you should consider the guest experience at your wedding. Imagine being Great Aunt Betty for a minute. Put on your lipstick and curl your hair, then pull on the hose and check the closet for wedges since it’s an outdoor wedding. Then, walk to the lakeside ceremony location and find a seat in one of our vintage pews. 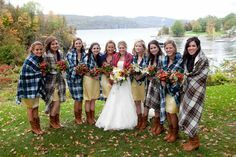 Enjoy seeing the canoe drift along the lake and the willows swaying in the wind while you watch (your) wedding ceremony. By now, those hose are getting pretty hot and you’ve probably only got an outline left of where that lipstick was. 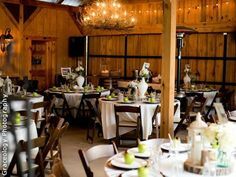 Now, you walk up to the reception barn and find another seat while you chat with Uncle Mark. What do you want Great Aunt Betty to be feeling at the moment? Do you really want her to feel like she’s sitting in a barn? Looking at an empty horse’s stall? Walking around on the dirty barn floor? Or sweltering outside in the sunny heat? Probably not. 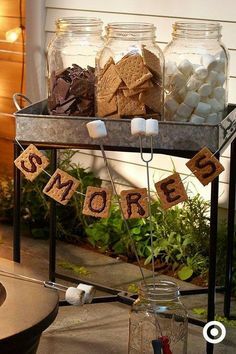 You want to proclaim your perfectly rustic but elegant style with an outdoor slant, but you still want your guests to be comfortable, right? Great Aunt Betty walks up elegant stacked stone stairs into a paved barn area. No gravels to walk on to get your piece of cake here at Spring Lake. It will be warm, but shaded and breezy. And the view! Look at that beautiful lake. She’ll be able to look out over the lake from her covered perch as the kids play in the grass and while you and your groom take a canoe ride out on the lake. And she might shed a tear because it reminds her of days long passed. But she will be comfortable. Even in her hose and fluffy hair. 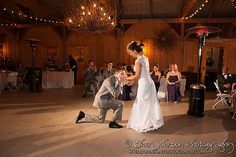 We’ve got all the nature and all the rustic and all the barn without all of the drawbacks you get with other rustic barn wedding venues. 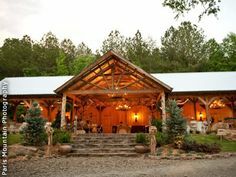 Our building was handcrafted with all the building materials you want (wood walls, sliding barn doors, twig wrapped beams, metal roof, amazing chandeliers), with all the conveniences of modern life (easy to walk on floors, a full catering kitchen, getting ready suites adjacent to the reception location for makeup refresh breaks, modern bathrooms, stunning landscaping, etc.) in a better location than you could have ever dreamed of (mountains and fields and even a lake?! What?!). We know. This place is awesome.